How long has it been since you last went on a road trip, or even to a new destination, and didn’t have an app on your phone (eg: Google Maps) to guide you, step-by-step, towards your goal? Five years? A decade? Maybe even longer. GPS and map apps have become an integral part of our daily lives. They help guide us on the most direct route to our destination, avoid traffic, foresee problems and adjust our paths accordingly. The right financial reporting package can help you do the same thing as a business owner: foresee problems, adjust to stay on course and continue growing your business and its profits. 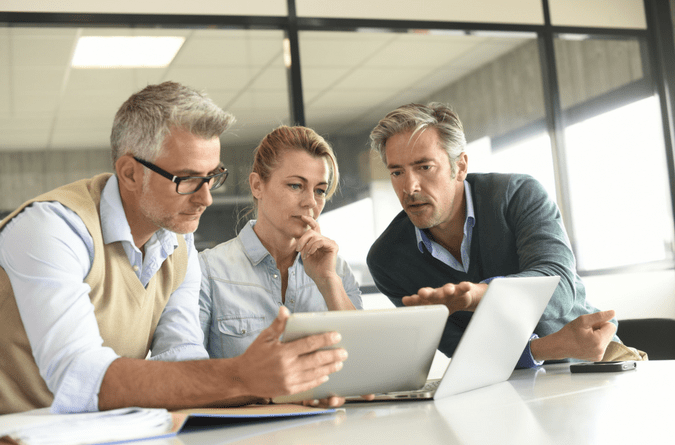 Without the right reporting, or the right guidance to help glean key insights from those reports, business owners are making uninformed decisions, which can lead to disastrous results. Failure. One of the top reasons startups fail is they run out of money. According to a recent study by CB Insights, nearly one in three of start-ups that didn’t make it cited running out of cash as the reason for their demise. Better cash projections might have prevented many of these outcomes. Fraud. The Association of Certified Fraud Examiners reported that, on average, organizations lose 5% of their annual revenue to fraud. What’s worse, is that small businesses have been shown to lose almost twice the amount of revenue than larger organizations, simply due to fraud schemes. 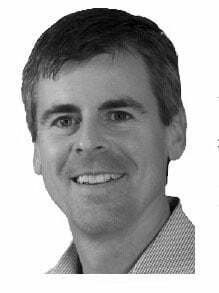 Sound reporting surfaces abnormalities, allowing fraud to be identified quickly. And while these statistics may be alarming, there are options available to help mitigate these risks and avoid potential losses, ensuring long-term cash flows for your business. These problems – and many others - stem directly from a lack of accurate, timely and useful financial reporting. If you lack financial visibility into the financial performance of your organization, it’s difficult to know what is working and what is not. And without a clear view of your current financial state, you can’t properly chart a course towards achieving your business goals. Financial reporting services for small businesses, such as those provided as outsourced CFO services, can help drive profits, while also averting crises. Here are 3 key ways in which these cost-effective options can bring real, positive impact to your firm. You’re apt to get lost in navigating your firm’s growth path if you don’t have the right information to guide your decision making. Great financial reporting allows you to deliberately control your growth and profit margins, eliminating the guesswork and the practice of simply hoping for the best. Profitably directing growth requires streamlining current activities so you can more efficiently (and profitably) deliver services to existing and new clients. But if you’re not measuring the performance of your business, how can you improve upon it? For example, understanding revenue by service offering or trends within your revenue across recurring contracts can be particularly enlightening. Said another way, being able to see your revenue composition can bring issues to the surface that you never knew existed. Let’s take the case of revenue reporting for a software-as-a-service (SaaS) company. 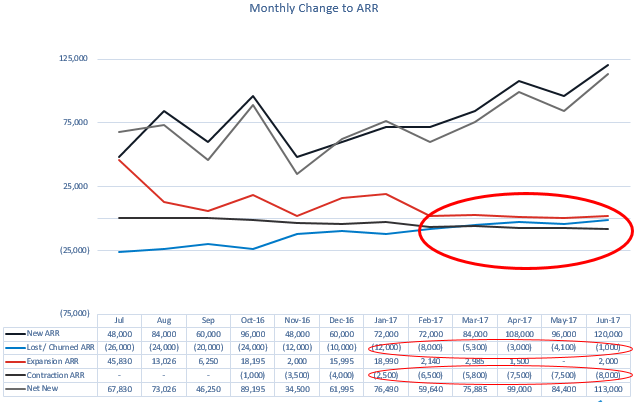 The below chart shows how growing annual recurring revenue (ARR) can mask underlying issues. In this example, churn (a measure of customers who have chosen not to renew their subscription) is improving while contraction (quantifies the amount of decreased renewal revenue or the incremental lost revenue caused by customers renewing at lower contract values) is on the rise. Being able to visualize the churn and contraction gives you the confidence to double down on your churn improvement initiatives while launching a separate initiative to understand and address the new contraction issue. The right reporting services can allow you to drill into the root cause of these issues in real time so you can get cracking on a solution. In addition to drawing your attention to areas of concern, the right reporting services can help you better manage your resources. A budget, for example, can be used to hold your department heads accountable for hitting projections, from both your revenue and cost perspectives. Let’s say a new service offering hasn't gotten the sales traction you had projected. With the right systems in place, you’d be able to look more closely at the sales pipeline and realize that the top of the sales funnel is not being adequately fed . You can be sure the next line of questioning will explore why your marketing efforts are missing the mark. Knowing your position early in the process can then help you made the necessary adjustments to stay on course. Let’s face it, any small business is only a crisis away from delivering a poor financial performance, or worse. Nothing is more helpful in avoiding or mitigating an issue than knowing, in advance, what’s to come. With proper financial reporting, you could gain visibility into both your current, and future cash position, ensuring that you’ll always have sufficient lead time to react and avoid a crisis. Remember from the report above that a top reason for startup failure is running out of the cash required to continue operations. Even if you’re able to survive a cash shortfall, it can be a momentum killer that crushes other opportunity. A cash crisis requires intense focus in order to keep the business viable and there’s often no time to pursue the opportunities that arise during such a period. It’s not uncommon for a business or non-profit to find themselves blindsided by a cash shortfall that threatens the very existence of the organization due to flawed financial statements. If you’re working from outdated or, even worse, error-ridden financial statements, you could be making decisions that are leading you toward financial trouble. Meaning, even if you’re currently producing cash flow projections, they’re meaningless if the data behind them is incorrect. Once in a crisis, financial reporting is the key to your survival. Here’s such a turnaround story, where reporting services helped lead an organization from a board’s vote of no confidence in the accuracy of its financials to stable footing and a foundation for renewed growth. When an organization emerges from such an ordeal, they have a heightened sense of urgency to establish tight cash management practices and robust cash reporting so they can feel confident such a crisis will never happen again. Wouldn’t it be better to be proactive and ensure that the proper measures are in place before this situation ever becomes a reality? 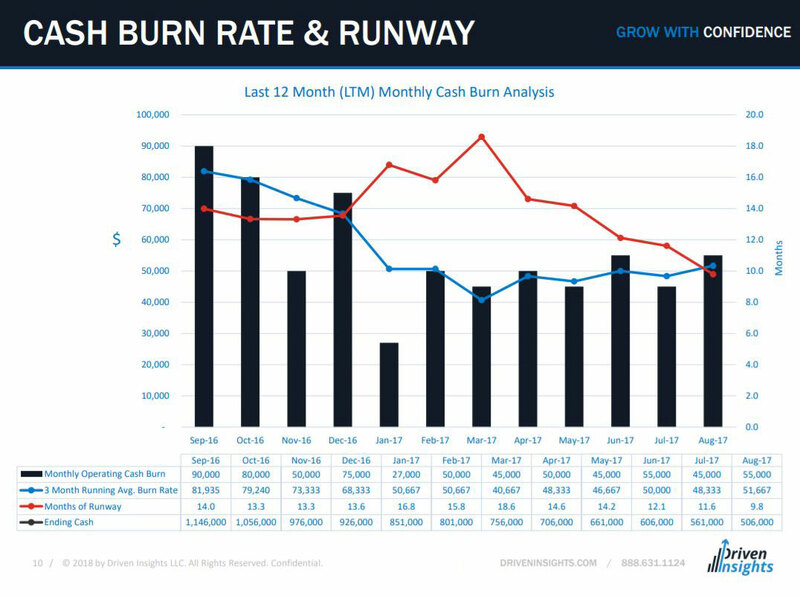 Imagine having the cash burn rate chart below to clearly view your cash position and runaway each month. A financial reporting service can deliver such a view into your cash position, week after week, month after month (or only during period of tight cash). Accurate financial reporting is the cornerstone of sound decision making. It’s also a prerequisite for developing the confidence required for taking decisive action. And it doesn’t stop with you and your management team. Nothing will erode your credibility with stakeholders and prospective capital sources faster than reporting inaccuracies. The best way to ensure accurate reporting and to combat fraud is to establish tight internal controls and review reporting regularly. This allows you to spot anomalies quickly, and prevent the situation from growing out of control or from resulting in losses. Small businesses are not only disproportionally victimized by fraud, but they also suffer the largest median losses (~$200k) of all business sizes. Weaknesses in internal controls were responsible for nearly half of all frauds. And that financial statement fraud schemes are the costliest to incur. Most of the organizations that have been victims of fraud have recovered nothing. Articulate your goals: Make sure you have clear, quantifiable short and long-term goals. Direct your reporting: Identify the financial insights or key performance indicators (KPIs) you need to make informed decisions. Align and equip your team: Ensure they have the capability, mindset and bandwidth; or outsource to avoid the headaches associated with managing your finance team internally. Select the right tools: Software packages help keep your information organized, secure and accessible. Ensure accuracy: Make sure internal controls are in place. Demand consistency: Establish and document standard operating procedures and maintain compliance. Produce timely, consumable information: Generate reports monthly that are easy to read and review thoroughly. Know your cash position: As stated above, cash availability when it's needed will make or break your business. Evolve: Opportunities and challenges change over time, use these financial insights to make informed decisions and remain ahead of your competition. If you’re not prepared to tackle these steps on your own, perhaps it’s time to consider outsourcing your finance function. Allow us to show you the positive impact an outsourced finance department can have on your organization. And consider what your growth dashboard could look like, imagine how it would provide your organization with a competitive advantage.